Heya Traders! In today’s post I’ll show you how one of our traders was able to bulletproof stock in three trades! It’s November 1 as I write this post. Tomorrow, AliBaba (BABA) reports earnings. The news could CRUSH investors… or it may give them a serious boost. For RadioActive Trader Greg Zerenner, earnings is no big shakes; he will make money no matter which way the winds of fortune blow. Because Greg used the RadioActive Setup as a context for trading as many as twelve “Income Methods”… reducing the cost basis of his married put to the point that it’s lower than the strike price of his put. Okay let’s track this, shall we? FIRST TRADE: Buy an uniquely arranged married put. Greg began his RPM, or RadioActive Profit Machine August 23rd this year with 100 shares of AliBaba (BABA) at $96.38. His position began with only 7.7% of his capital AT RISK… but that wasn’t going to be the case for long. Second Trade: In response to the market’s move, swap a cheap put for a more expensive one. The next thing that happened with BABA was that it exceeded the $97.50 price point. In the RadioActive Trading Blueprint, for cautious traders that’s an indication to take premium upside down. “Whaaaaaa…?” you might be saying. “How on Earth do you capture premium upside down? Simple. BABA went up, which meant that the April $97.50 put option’s value went down. On September 27, Greg sold that April $97.50 put for $6.30… and in its place he bought an April $110 put for $11.90. “Income Method Four”. Swapping the $97.50 put for a $110 put costs $5.60, but RAISES the minimum payout by $12.50. Nice. On the surface, it looks a lot like Greg “lost” $300. After all, the first put was bought for $9.30 and sold for $6.30. Ahhh, but the second put was made cheaper too. Plus, the first put still had a lot of the value it started with. So that when he cashed in the first put, it was sooooper cheap. So what does “capturing premium upside down” mean? …but he gets to adjust the guaranteed sell price of the stock from $97.50 to $110! Spending $5.60 to get a $12.50 return. That’s good business. Third Trade: In the context of all this, sell a covered call. And now we almost get lazy. Those of you that are familiar with the use of covered calls, take note: Instead buying stock close to earnings, and immediately capturing a tiny premium, you risk MOST of your capital on volatile stocks. But Greg… not so much. By now Greg has an instrument that can’t get him in trouble, no matter how low the stock may go post-earnings. But he CAN grab inflated premium just before earnings with no worries because of his setup and the adjustments so far. On October 29 he snatched $1.64 by selling the November $110 call. Last nail in the coffin: there is now NO risk as the cost basis for the stock plus put is LESS than the strike price of the put. This little bit of premium normally would provide less than 2% hedge in case of stock going down in a “plain-vanilla” covered call trade. But his case, Greg has eliminated the last vestiges of risk at all, while at the same time securing the chance for as much as a 7.6% payday. What’s Next for this Bulletproof Position? Well, one thing is for certain. Greg can’t lose, even on the eve of this precipitous news event. If BABA takes a total DUMP and goes to $50 a share… Greg gets to cash in his chips and have no risk. But on the other hand, say BABA goes to $107 after earnings and thru expiration. Greg has no obligation to deliver his shares after that… but he MAY decide to use one or more of the other ten Income Methods to milk his BABA RPM for more premium. Hey, this bulletproofing thang isn’t like a UFO or a unicorn. We see this stuff all the time. For example, Greg’s buddy Mike is sitting on a position now that’s bulletproof to the tune of over -10% risk. That is, ten percent negative risk. Because his Footlocker (FL) stock cannot fail to deliver him less than 10% profits. Oh, Mike gets to grab dividends too. Would YOU like to learn to become Bulletproof in earnings season? Put your comments below. I’ll send you a cheat sheet on how to bulletproof your stocks. Better yet, join the mailing list and you’ll get a free gift on me. You spent a total of $14.90 for the 110 put. I think his math is not accurate. There is not bulletproof here.. Thanks for the very interesting method of bulletproofing a stock purchase. 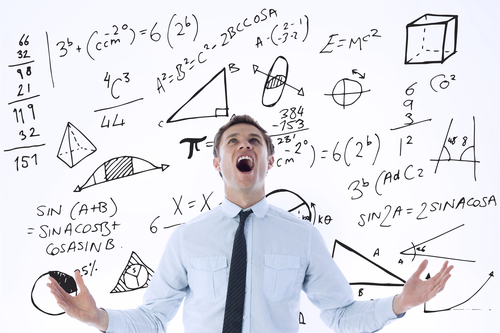 Please send cheat sheet for duplicating this method for real trading. Thank you… Very good information. Thanks for the info.! Please snd a cheat sheet. What you SPENT when you bought the dearer put was $5.60 but, surely, what it COST you to reach that position was $8.60. Still a good price for a $12.50 return but not nearly as good a return. yep, your math is wrong Kurt, he lost 3 on his first put and spent 5.60 on the second purchase =8.60 cost. Did not disclose the price of BABA on the day the swap occurred. Hi Mike: BABA was at $107.48 when the first IM was performed. Then $103.80 when the next IM was performed. Since this is a bullish strategy, will it also work well with less volatile stocks like high dividend companies? Please also send the cheat sheet. Thanks! Arithmetic Errors here hide the fact that this is a losing trade, after brokerage fees, unless the price goes above 110 a share. First Put bought and closed out and sold for a loss of $3.00. Second, new put bought for 11.90. So far the put trades have cost $14.90 for all of the puts (3.00 + 11.90), the first of which was closed out at a loss. if the price is less than 11,028, all this before broker fees. but not much of a losing price, with a loss of $28. Selling the near date-to-expire call for November at $110 earns just enough money to finally better break even, if you ignore brokerage fees. Proceeds of $1.64 for $164. Now the net cost of the trade is $11,028, less the November call proceeds of $164, for cost of trade $10,964. The new break even price is 109.64 a share. Finally, the trader, at this point would make $36, before brokerage fees, if the stock tanks, or if the November call takes the stock away. By the time of the third option trade, the November call, the position has become riskless, but also there is no profit in it, until the price goes above 110. But the the short call might have taken the stock away by that time. The trade was profitable and closed for a gain of 1.2% ($129 profit of an end investment of $109.64). 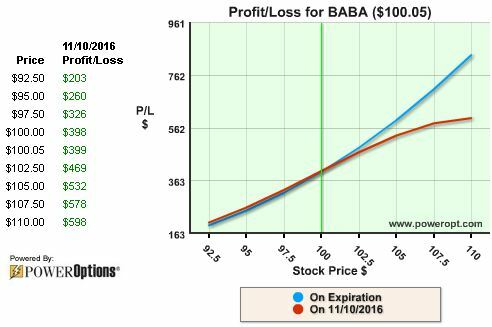 When the position was closed, BABA was trading at $102.93, or -$6.71 (-6.12%) from the adjusted cost basis. After commissions, the position was still at a gain of 1%. Not great, but not a loss from the initial cost basis or the adjusted cost basis. 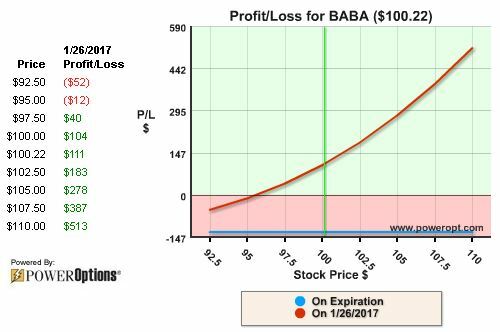 1/25/2017: Sell to close BABA at $104.06, Sell to Close April 110 put at $8.20. Liquidation value = $112.26. Gain = $112.26 – $109.64 = $2.62, or gain of 2.4%. In January it was Greg’s thoughts that BABA would continue to rise and move back to $110 where other adjustments would be made over the next few months, prior to April expiration. However, that did not happen and he closed in March for the small profit. Other adjustments could have been made during that time, but would have countered Greg’s CEGA model for the position. The CEGA model is described in The Blueprint for each of the 12 income methods or adjustments we use against the initial low risk position. IF Greg held the position all the way to April 2017 expiration, you are correct. All of the time value would have moved out of the put, and unless it was trading at $110 (really, higher) no more than $36.00 would be made. 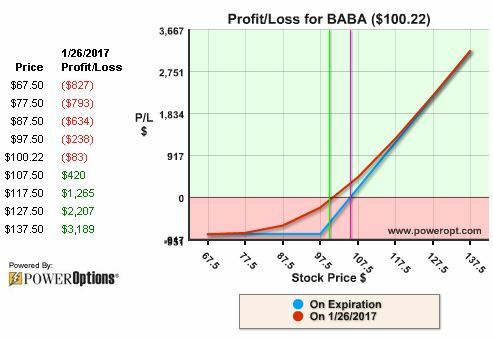 That was not the plan, and things may have not gone exactly as Greg had planned, but the trade was still profitable even though it was closed when BABA was at $102.93. BABA did close at $113.00 on April expiration, so the profit would have been around $3.36. Thank you for the comment, and I am sorry it took me so long to get back to you (we had a problem with the blog notifications and I did not see your post until last week).